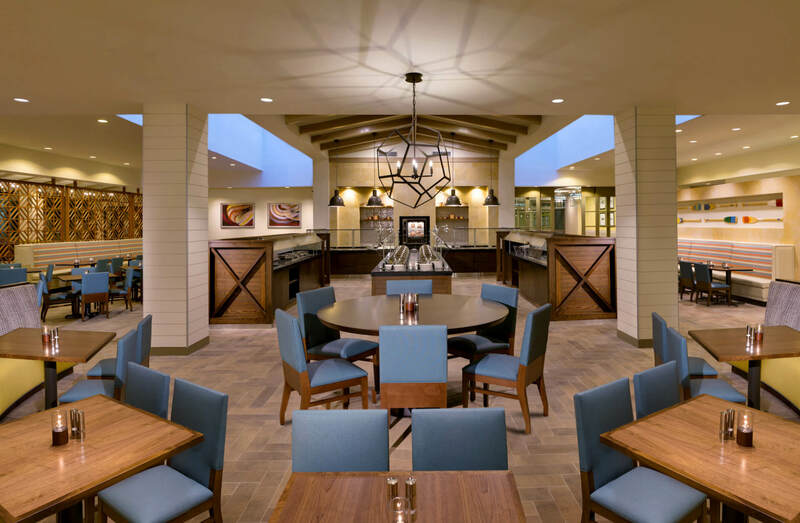 Sandcastles Restaurant and Lounge, located next to the resort lobby, is the one restaurant at Hilton Sandestin Beach Golf Resort & Spa where guests can go for every meal, plus late-night snacks in the Lounge. Called an “American Family Bistro,” Sandcastles is bright, airy and welcoming. 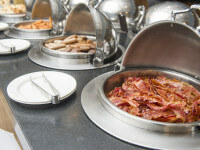 It offers a la carte breakfast, breakfast buffet, lunch, dinner and lounge menus. Lunch options include gourmet salads, sandwiches, wraps and soups. Sandcastles also has a children’s menu that’s more extensive than most. 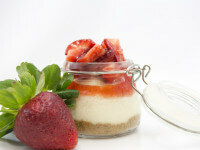 It features breakfast, lunch and dinner items as well as snacks and desserts. The breakfast buffet is popular with guests of every age and includes an omelet station, pancakes, breakfast potatoes, sausage, bacon, seasonal fruits, cereals, yogurts, breakfast pastries freshly baked by our pastry chef, coffee, tea or juice. 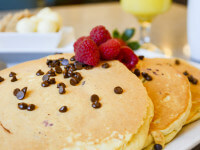 The a la carte breakfast menu contains steak and eggs, Frangelico French toast, and several variations of eggs benedict. The relaxing Sandcastles Lounge, located across from the restaurant, offers a great wine list, specialty martinis, live piano music and a sampling of snacks and items from Sandcastles’ lunch and dinner menus. Prices at Sandcastles range from $1.50 for some kids’ snacks up to $38 for the Grilled Petite Filet and Crab Cake dinner. Restaurant: 7 a.m. to 1 p.m. and 6 p.m. to 9 p.m.
all day menu: 11 a.m.-11 p.m.
Friday & Saturday 11 a.m . - 1 A.M.